Norma Hook is a Holland Hospital employee who works on the inpatient behavioral unit. She has been a nurse for 14 years with the hospital. Aside from nursing, she also spent a brief time in a chaplaincy rotation with David Blauw. Norma is a graduate of Grand Rapids Community College and Western Theological Seminary. She is one of five children and comes from a long line of Holland residents. Norma has five children and four of them were born at Holland Hospital, as were a number of her grandchildren and two great grandchildren. 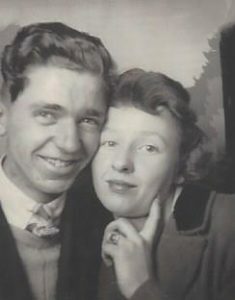 Norma’s parents, Kenneth and Jane Knoll, birthed four girls (Judy, Millie, Norma and Ruth) and one boy (Kenneth W.) at Holland Hospital. Norma was the third and was born on Saturday, July 14, 1951. Her story is unique because she was born in the elevator! When her mother, Jane, was in labor at the hospital, the nurse gave her a shot to help relax her. Fifteen minutes later, Jane knew she was going to have the baby sooner than expected. Her husband, Ken, quickly found a nurse and informed her that Jane needed to be taken to a delivery room. At the time, the labor and delivery rooms were on separate floors in the hospital. The nurse was in disbelief, but Jane was only minutes from giving birth. They hurried to put Jane on a gurney and rushed her toward the elevator. On the way up, Jane couldn’t wait and before they made it to the delivery floor, she gave birth to Norma. Though the situation was not ideal or planned, Jane said the nurses did an excellent job of taking care of the situation. Norma was a healthy baby and the smallest of the Knoll children at 6 lbs. 8 oz. In the 1950s it was standard for the mother and baby to remain at the hospital for five to seven days. 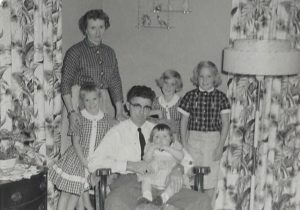 However, when Norma was born, Ken was in between jobs and the family did not have health insurance. Jane delivered Norma on Saturday and they took her home the following Monday. The rate to keep a baby overnight was one dollar a day! Ken Knoll was also born in Holland at 332 W. 14th Street on March 15, 1927. When he turned eight years old, his family moved to north Holland on Blair Street. He was a hard worker and attended Holland High School. Because he lived in the country, there was no bus transportation available. In grade school, he walked or rode his bike, but in high school he would carpool with neighbors who worked in town. Ken had early mornings and late afternoons but he persevered and graduated in 1945. Ken also attended a business college in downtown Holland. He started his career at the Heinz Company and eventually moved to Holland Furniture. Ken ended his career at Ottawa Gage. Jane Knoll was born at home as well, on April 10, 1928. She was one of eight children. Like Ken, she lived in the country and had no way to get to school so Jane never went to high school. After Jane married, she managed the family’s strawberry patch. While Ken was at work, Jane took care of the field and spent many summer days picking berries. After the children were grown, she worked at the Prince Corporation for many years. Since retirement, the Knolls have been active volunteers with the Bibles for Mexico Thrift Store on Lincoln Avenue. They have worked at the store since it opened in 1992. 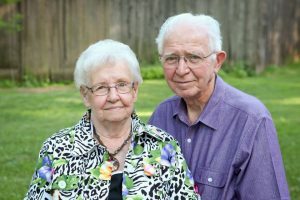 Both Ken and Jane have outlived all of their siblings, but fortunately still have their children and many grandchildren in the area. 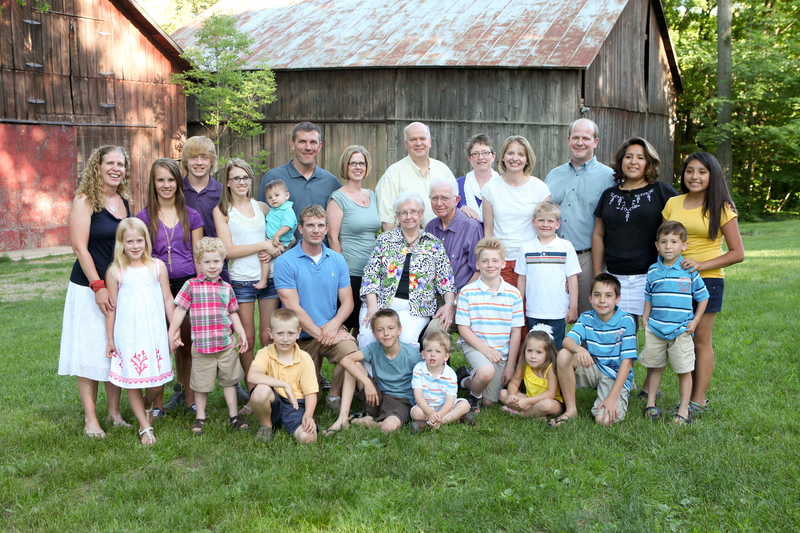 At the Knoll’s family gatherings, there are 71 members in total. Ken and Jane will be celebrating their 70th anniversary in August of 2017.